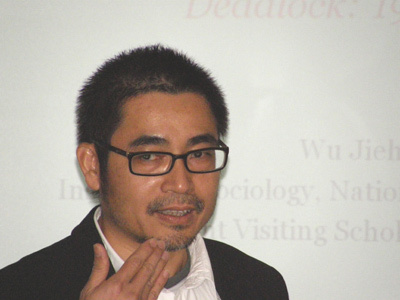 Wu Jieh-min is an associate professor at the Institute of Sociology and former director of the Center for Contemporary China, National Tsing Hua University, Taiwan. He has published on Taiwan's civil society and social movements and China's socioeconomic development. His recent work includes "Rural Migrant Workers and China's Differential Citizenship: A Comparative-Institutional Analysis," in Martin King Whyte ed., One Country, Two Societies: Rural-Urban Inequality in Contemporary China. Cambridge, MA: Harvard University Press.